In what is turning out to be a fascinating counterpoint both to some of the ideas explored in Grete’s essay and to our official A:L:L map (which goes to print at the end of this month), artist B.A. 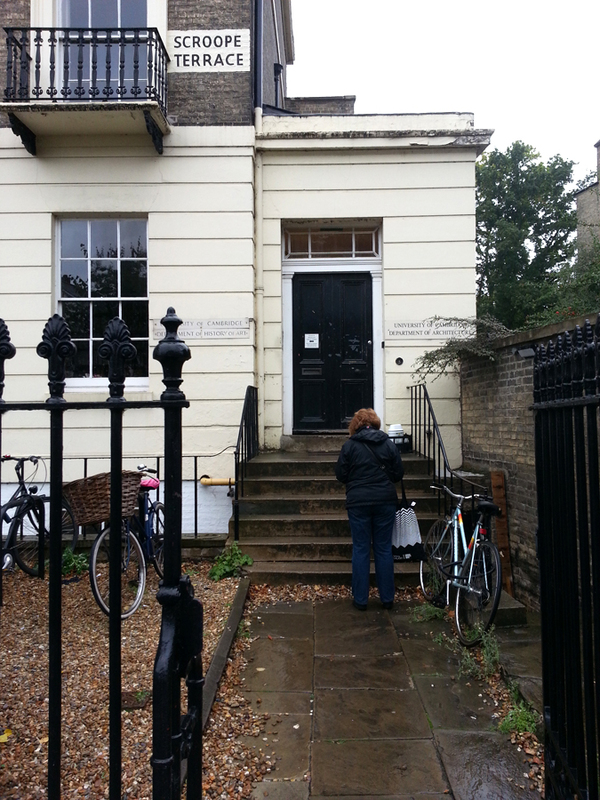 Zanditon has been making regular trips to Cambridge in the last few weeks in order to record the process of walking the boundary of the A:L:L exhibition. Given that we are still negotiating our last few locations, this has proved no mean feat. Here is Barbara today at the Department of the History of Art, inputting GPS and other essential data into her project diary.